Meanwhile, back in the Zone, Superman is struggling with the morality of destroying the being that destroyed his entire planet. Like all good men, he must play the numbers game, weighing the death of a single being against that of an entire world. Is that justification? Will it not ease his rage? But he’s Superman, so it’s not for him to make that choice. However, there is one Kryptonian who can, whose dreams of resurrecting his home world could so easily turn to nightmare (as we see in the opening sequence?) 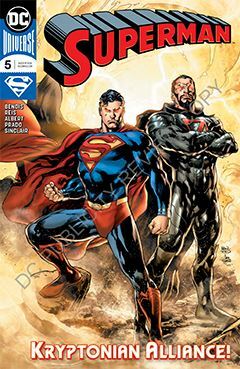 But as we saw recently in the pages of Hal Jordan and the Green Lantern Corps, Zod would love nothing more than to come face to face with anyone even partially responsible for Krypton’s destruction. The artwork for this series has been extraordinary, and it is my hope that the art team will remain in place long after the current story arc concludes. It’s like a merging of Neal Adams and George Perez, two of comics most capable and dynamic artists.